Are you a mom who need a little TLC in her life or a college student looking for little ways to pamper herself between hectic class schedules and cramming study sessions? I have an ultimate list of beauty tricks for you to feel ever-so-pampered and rejuvenated. Apply Visine to a pimple to reduce the redness. You can also try hydrocortizone to reduce redness and inflammation. Monoi Oil from Tahiti (coconut oil infused with gardenias) can be used as a moisturizer, pre-shampoo treatment, bath oil, massage oil and even as a perfume. Try a facial massage in the morning with your favorite moisturizer to get the blood flowing in your face. Be gentle around your eyes and massage from outward to inward with your middle finger. Within 15 to 30 minutes post-workout, enjoy a snack packed with complex carbs, plus some protein to replenish the energy stored in your muscles, like fruit yogurt. Stay fuller, longer by choosing fiber-filled and nutrient-rich whole grain pasta, crackers, tortillas, bread and breakfast cereal. Substitute up to half 100% whole wheat flour when cooking or baking. If you`re trying to cut down on the salt, give your food pep by spritzing on lemon juice, salt-free dry herb and spice blends, and fresh ground black pepper. For a healthy low calorie meal, do the plate test: half of your plate should be filled with veggies, a quarter filled with lean protein and a quarter filled with whole grains. Try this healthy breakfast sundae to keep you satisfied until lunch. Top 1/2 cup partially frozen raspberries and blackberries with 1 cup organic vanilla yogurt and 2 tablespoons slivered almonds. Now is as important as ever to drink plenty of water. Pep things up by making spa water. Simply add fresh lime juice, fresh mint leaves and cucumber slices. We are all aware of the different types of skin but perhaps the least talked about category is thirsty skin. When the skin is dehydrated it looks dull and lifeless. One way to counteract this condition is to carry a moisture spray. A quick spritz will awaken your senses and add an instant moisture boost to a parched complexion. During the week, aim for a full eight hours of rejuvenating sleep. This will give your skin the opportunity to recover and renew itself. Better still, slather on your night time treatment and let it go to work while you sleep. Tailor your cleanser to your skin type: dry skin loves a creme cleanser while oily skin benefits from a gentle foam cleanser. Sensitive? Use a distilled water infused with floral essences. Splash off the lukewarm water for a clean, clear complexion. The delicate skin around the eye area is often the first place to show signs of tiredness and aging. Hold back the years by investing in a good eye cream, serum or gel. Using your ring finger, pat gently around the eye area, making sure to avoid the eyelids. Avocados, blueberries, salmon and other oily fish are all sources of vital vitamins and healthy fats necessary for the production of collagen but did you know that the antioxidants in dark chocolate help fight against environmental damage? Don`t avoid the sun, in fact a daily 20 minute dose is essential in upping our vitamin D supplies. For those days when you are going to be out in the sun, apply a good quality SPF at least 15 to 20 minutes before you go outside and stay in the shade during the hottest time of the day. 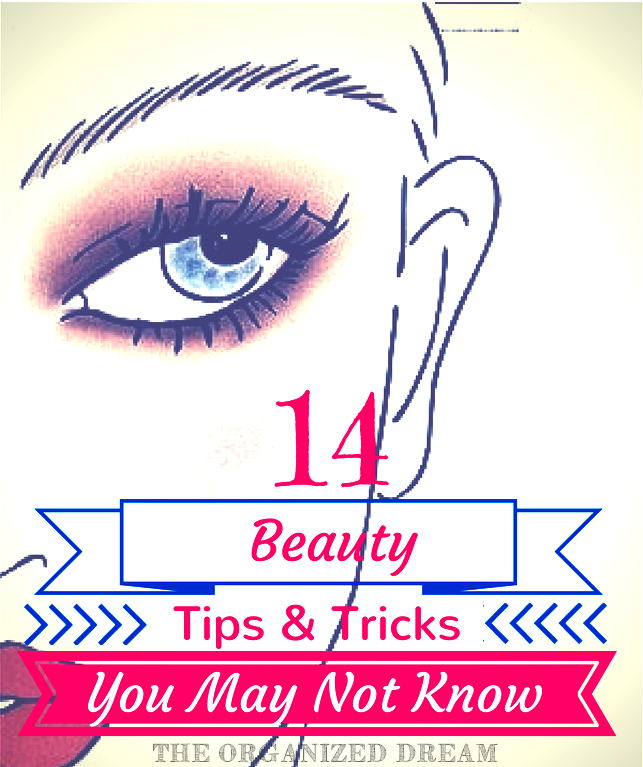 Looking for more great beauty tips? You can find them and so much more at SheKnows.com. I enjoyed reading these tips! I use coconut oil on my face as a moisturizer (I have dry skin) before I go to bed every night and love it! G'day! Thanks for sharing via our #SayGdayParty! Please make sure to come back, leaving comments on some people who also attended the party and of course we hope you are following us on Pinterest!